"I don't know if there will be any more pharmacy closures as a result of the funding cuts"
In September, the General Pharmaceutical Council (GPhC) asked pharmacy bodies to explain what steps they are taking to address inadequate staffing levels. The regulator had been prompted to take action after it identified its premises standard – which requires pharmacies to have “enough staff, suitably qualified and skilled, for the safe and effective provision of pharmacy services” – as one of the most commonly failed areas in inspections for the second quarter in a row. 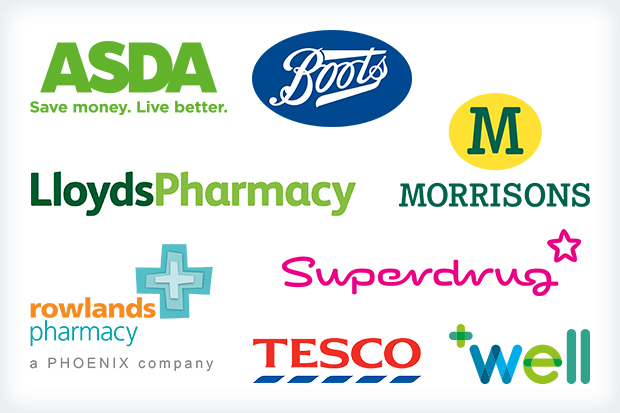 The Company Chemists’ Association (CCA) – which represents Boots, Lloydspharmacy, Well, Rowlands and Superdrug, as well as the pharmacy arms of Morrisons, Tesco and Asda – was one of the five pharmacy bodies to receive the letter from the GPhC, which chief executive Malcolm Harrison says was a new, but welcome, step by the regulator. Since speaking to C+D, the CCA has fed back to the GPhC that while safety is an “absolutely priority”, and members are taking every step possible to ensure pharmacies have the right level of staffing, “it is not just numbers of people” that makes pharmacies safe, Mr Harrison tells C+D. The key to delivering a safe and effective pharmacy service comes down to “having trained and qualified people” and appropriate “scheduling on the ground”, he says. When it comes to designing the appropriate staffing model, “we are confident that the right people to make the decisions on the right level of staffing for any pharmacy is the organisation that runs that business”, and not the regulator, Mr Harrison adds. “The superintendent obviously has a significant role to look at the model that they think is appropriate,” he stresses. “I couldn't give you a number or a formula that is the right way of doing things. “All pharmacy businesses – certainly our members – operate a range of different scales, from small to large in terms of physical size, intensity of dispensing, and customer footfall, so they need to make the right decisions for their pharmacies,” he explains. Mr Harrison recognises that running a pharmacy business – whether an independent, part of a medium-sized chain, or a large multiple – has become harder in recent years, and the whole sector is experiencing funding pressures, increasing workloads, and medicines supply issues. But he is “confident that businesses can operate in a safe and effective way” if they have systems in place. When it comes to safe staffing, it is important that all pharmacies are working towards meeting the regulator’s premises standards, he says. And “part of the solution is to ensure members understand what the GPhC will be looking out for during inspections”. 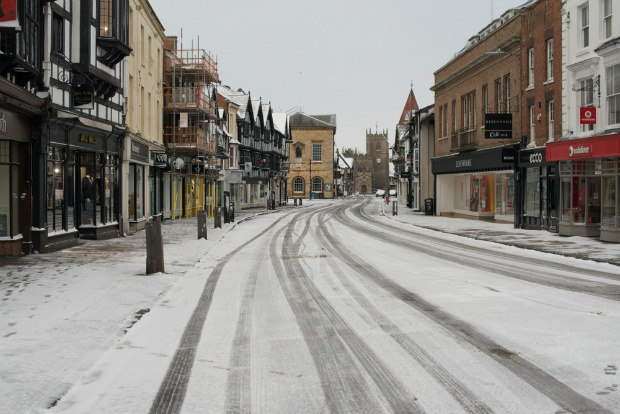 Mr Harrison points to the snow and freezing conditions experienced across the UK in March – when many pharmacies would have struggled to open, as staff couldn’t get to work. Nevertheless, pharmacy employees reported trudging along miles of icy roads to open a pharmacy, and battling the blizzards to reach elderly patients at home. The GPhC issued guidance at the time stating that it “supported pharmacies who are finding innovative ways to meet the needs of their patients”, and urged pharmacies to “take proactive steps to make sure patients can continue to access the medicines and services they need”. Mr Harrison says the “beast from the east” is one example of an exceptional circumstance in which the sector could have benefitted from the GPhC – rather than the government – having the power to make exceptions to the rule that a pharmacist can only be responsible for one pharmacy at a time. This is an issue that the Department of Health and Social Care (DH) is currently consulting on. “The CCA is very, very clear in its belief of having one pharmacist, one pharmacy,” Mr Harrison stresses. However, “we believe in exceptional circumstances the regulator should allow for a responsible pharmacist to be in charge of a maximum of two community pharmacies, if it is what is needed”. “We don’t see this becoming normal practice,” he adds. He also points out that the government already has the legal power to allow responsible pharmacists to oversee multiple premises at a time. Moving that power from the government to the regulator would simply mean “the GPhC could move more quickly to issue guidance to pharmacy teams if required”. This way, community pharmacy “would be better placed to meet the needs of patients the next time such exceptional circumstances happen”, he says. 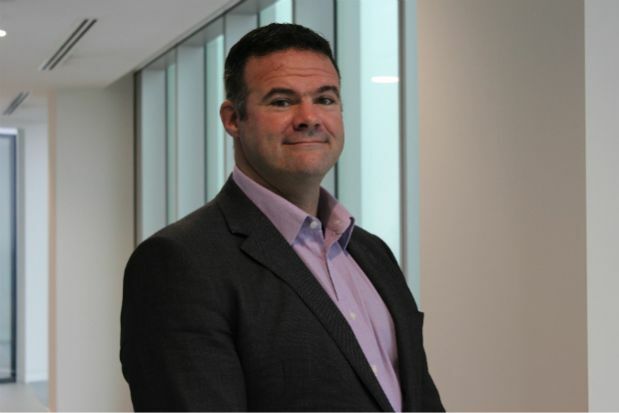 Mr Harrison joined the CCA in March after 20 years in various roles at Boots, including senior manager of the multiple’s project and contract development team. Since starting at the association, he has spent the last eight months “dialling up operations” at the representative body. This includes meeting pharmacy minister Steve Brine (pictured above), and regular meetings with England’s chief pharmaceutical officer Keith Ridge. One of the areas of greatest concern continues to be ongoing funding pressures, not least the funding cuts in England, from which CCA members have not escaped – as C+D revealed in May. He remains optimistic that “there is a strong, bright and engaging role for community pharmacy in the future of the NHS”. However, he doesn’t think the sector is out of the woods just yet, and will face some big questions to rescue its future. “We are keen to try and find solutions to some of the challenges we face financially,” Mr Harrison says. “We need to find a way of remunerating the sector that is equitable, fair and sustainable. But you have to be cognisant of the fact that this is how people get paid and you can't just stop and move to another model. Tackling these financial challenges will be a key focus for the CCA next year. At the time of speaking to C+D, the organisation had just signed off its business plan for 2019, and had prioritised workforce development, continuing its work with the Community Pharmacy Patient Safety Group around medicines safety, and working with other representative bodies. As the sector awaits an announcement on the 2019-20 pharmacy contract negotiations, Mr Harrison says his personal priority is to improve his relationships with commissioners and the government, to ensure there aren’t any more “shock” funding announcements like the December 2015 bombshell from the DH. “We need to make sure we have the right relationships and conversations, so we can avoid any unnecessary shocks and can work together to design the future for community pharmacy. What do you think is the optimum pharmacy staffing model? "CCA chief: Safe staffing in pharmacy is not only reliant on numbers"
In other news cars are not only reliant on fuel... but it's hard to get them to do anything without an adequant amount. “I couldn't give you a number or a formula that is the right way of doing things." I can. Start by working out the average time it takes to prepare a single prescription item, taking into special consideration constituted products, controlled drugs, blister packing anything that requires extra time to prepare, then times that by your average item count, add in additional time from consultations and footfall and you have your calculation. That's just off the top of my head and to be honest, I know at least several of those multiples use a formula - evidence can be heard in the Boots program on the BBC, which they state it is a trade secret. Yes but the trade secret isn't the formula of multiplying time taken to perform tasks its in the time taken away again at the end. Boots call this the "productivity gap" in other words the amount of time you are underfunded to do the tasks which they have calculated. I promise you this isn't a joke, they actually do this and call it the productivity gap.